SCADA is used and is highly important in many different industries for both the public and private sector. This is a system that is used on communication channels throughout the waste water treatment facility and operates off of coded signals. Its main function is to allow for remote control over waste water facility equipment. The control segment of SCADA is responsible for the operation of the remote equipment but the system can also include a data acquisition system. 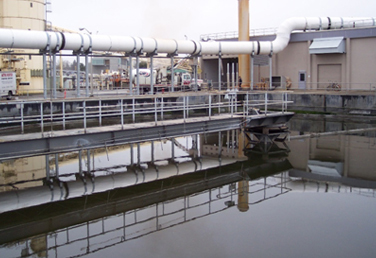 Facilities that have the responsibility for handling waste water can apply this Industrial control system for many purposes. Increase overall performance and reliability. SCADA systems will reduce the manpower needed for operation which in turn reduces cost. Data acquisition is a big responsibility for those who are in the waste water treatment industry. A SCADA system that has data collection programmed will allow for continuous reading and recording for meters, control systems and results making this no longer a manual task. SCADA will alert the proper staff or department in the instance of system failure or malfunction with the waste water treatment facility equipment. In addition to this SCADA systems have the ability to identify the nature of the issue and to what degree the problem is which will reduce time spent troubleshooting the location of the infraction. Go green and reduce waste by utilizing electronic daily recording sheets. The SCADA system will record the data and store it so it can be downloaded whenever required or be sent off location for review by offsite technicians. This supervisory control and data acquisition when being operated with the right software and implemented properly can reduce the need personnel on site around the clock at the facility for the purpose of monitoring or collecting data. It can all be accessed from any computer, laptop or cell phone that has access to the internet 24/7. Additionally SCADA Mobile Aware software can send an alarm directly to the proper contact phone no matter the location or time of day. These alarms can be sent to a designated workforce for the waste water management team, who in turn can respond according to the data that SCADA is providing them. Assigned personnel will have complete access to the SCADA system before they are even on site.